While US President Barack Obama claimed he prevented a nuclear arms race in the Middle East when he presented the Iran deal last Tuesday, a key source in Saudi Arabia laid bare that claim by expressing the country’s sense of urgency to acquire its own nuclear weapon. Jamal Khashoggi, head of the Saudi Al Arab news channel that is owned by a prince of the ruling Saudi royal family, and who previously was the media aide to Saudi Arabia’s ambassador to the US, Prince Turki al Faisal, revealed that Saudi Arabia may be going nuclear very soon. „I think Saudi Arabia would seriously try to get the (nuclear) bomb if Iran did. It’s just like India and Pakistan. The Pakistanis said for years they didn’t want one, but when India got it, so did they,“ Khashoggi told Reuters on Tuesday. The statement confirms the warnings by experts, who said that the Saudis will likely rush to obtain a nuclear weapon feeling threatened by the Iran nuclear deal, which critics warn will pave the Islamic regime’s path to a nuclear arsenal. Sunni Saudi Arabia and Shi’ite Iran have long been key rivals vying for influence in the region. If Saudi Arabia were to go for a nuclear bomb it would likely face international sanctions, but it remains unclear if the Saudi economy could actually be threatened given the global dependence on Saudi oil; Saudi Arabia is the leading oil exporter in the world. „I’m sure Saudi Arabia is ready to withstand pressure. It would have moral standing. If the Iranians and Israelis have it, we would have to have it to,“ said Khashoggi regarding Saudi ability to withstand sanctions, arguing that the oil export would protect it from pressure. Strengthening that argument is past evidence, as back in 1973 a Saudi oil embargo proved incredibly detrimental to the global economy, meaning global powers may be loathe to try and pressure Saudi Arabia for fear of a trade backlash. Saudi Arabia has been actively working to obtain nuclear power, recently signing nuclear deals with France, Russia and South Korea in preparation of building its own nuclear facilities; the Saudi nuclear deal with Russia was signed just last month. Those deals come after the Saudi nuclear organization, the King Abdullah City for Atomic and Renewable Energy (KACARE), back in 2012 recommended installing 17 gigawatts of nuclear power in the Gulf state. No concrete plans have yet been released for implementing that suggestion, but the new nuclear deals may see that change soon. 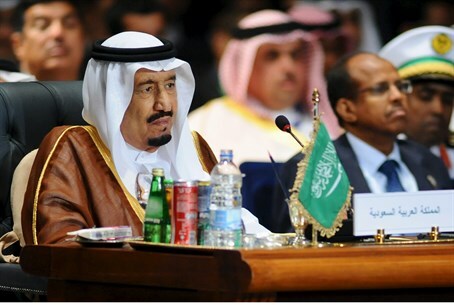 However, there may be difficulties in turning a potential Saudi nuclear program into a nuclear arms program. Dewey was referencing a protocol on inspections in the Iran deal that would likely be a condition for a Saudi nuclear program. Despite that appraisal, Iran has been covertly receiving nuclear weapons technology from North Korea, and Saudi Arabia would potentially be able to similarly get its hands on such technology as well, possibly from Pakistan. Also, Iran has adamantly said that international inspectors will not be allowed in its covert military facilities where it is said that nuclear weapons testing is being conducted, a precedent that may have impact on Saudi Arabia’s standing. Iran will gain nuclear technology and over $100 billion in sanctions relief from the deal, and in ten years limitations on its program will be lifted allowing it to breakout to a nuclear arsenal in no time. In an apparent admission of of how the deal will allow Iran to have nuclear weapons, and recognition that the Saudis are likely to do so as a result of the deal as well, US Secretary of State John Kerry reportedly offered the Saudis a nuclear umbrella back in March. Given Khashoggi’s statements, it would appear the Saudis are more interested in having their own nuclear weapons to deter their rival Iran, rather than being reliant upon the US.